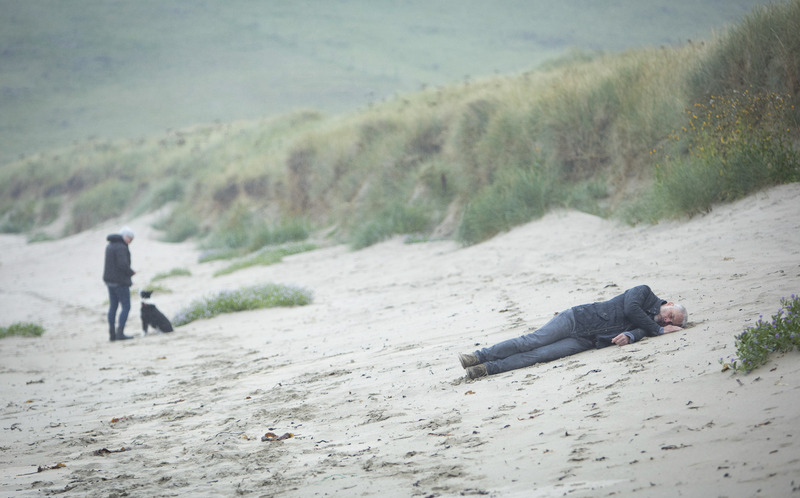 As the BBC's Shetland approaches its fifth season finale, local author Malachy Tallack looks at the fiction of remote places, and wonders, remote from what, exactly? It is a strange experience to watch Shetland in Shetland, like looking in a mirror and seeing your own face bloodied and distorted. 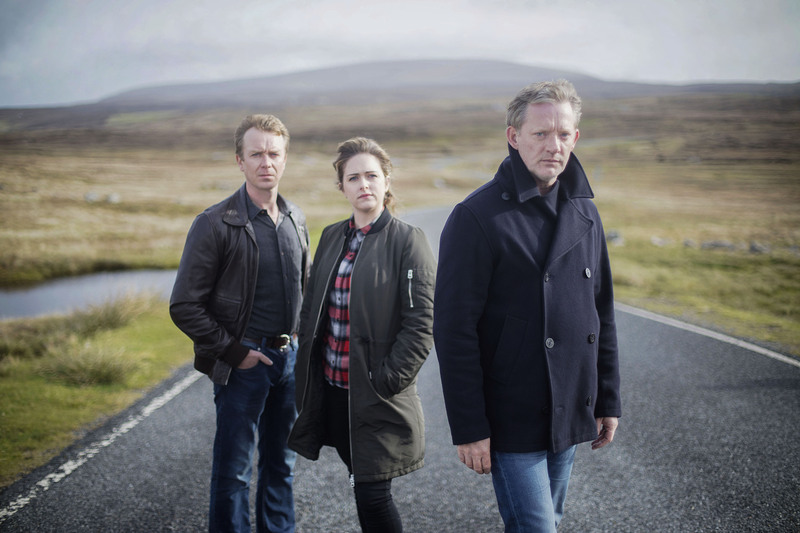 The BBC crime drama, based on characters created by Ann Cleeves, has its fifth season finale this evening, and has become an international hit. The show’s producers have found that sweet spot between scenery and slaughter. Like Henning Mankell’s Ystad, and Agatha Christie’s fictional St Mary Mead, Shetland’s Shetland is not merely wallpaper. It is a character, no less crucial than the bejumpered detective inspector, Jimmy Perez. And like Ystad and St Mary Mead, the role these islands perform is a dual and essentially contradictory one. They are required to be, at once, both beautiful and threatening, like a postcard with a sinister note on the back. While that beauty may be easy to depict – just pointing a camera in the right direction is enough – the threat is a rather more complicated thing. After all, since the show debuted in 2013, there has not been a single murder in the islands. Nor were there any in the five years before that. Shetland, indeed, is one of the safest places in the British Isles. So accepting even the premise of the programme requires a suspension of disbelief almost heroic in scale. Or else, instead, it requires distance. For despite seeming to be embedded in the place, the success of Shetland relies in fact on the opposite: on a feeling of mystery and menace that only really make sense from afar. It relies, no less than, say, The Wicker Man, on a suspicion of small community life common to many who do not live in such communities. And it relies, most of all, on an absence of alternative stories. The islands, for most viewers, are barely more than a name: a blank space onto which almost anything, no matter how implausible, can be imposed. That blankness is hardly surprising. Shetland, after all, is a long way from any city, and has never attracted large numbers of tourists. It is, quite frankly, an inconvenient place, awkward for travellers, and for mapmakers, too. 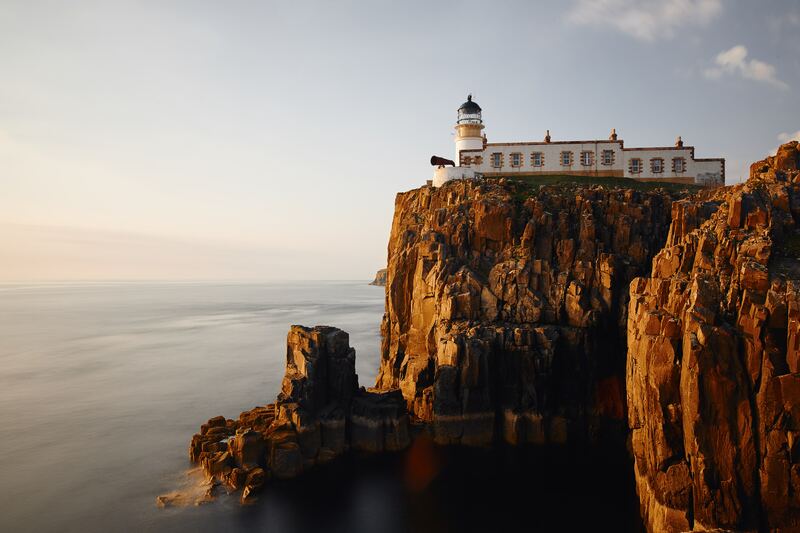 Rather than their rightful position, 100 miles or so northeast of John o’ Groats, the islands are often consigned to a box somewhere in the Moray Firth, or else alongside Orkney. Sometimes they are absent altogether. This is, it seems, an optional place, defined – when defined at all – from a distance: beautiful but weird; out there, somewhere. Such a fate is shared, to some degree, by much of the British Isles, beyond its most populous regions. In England, that means anywhere outside the southeast corner; in Scotland it is those parts below and above the belt of conurbation joining Edinburgh with Glasgow. It is, in other words, the bulk of the country. And the deeper one goes into this beyond, the farther one gets from major cities, the greater the extent to which a place is likely to be culturally marginalised, or just forgotten. That blankness blooms towards the edges. To grow up somewhere like this can be disorientating. One cannot help but feel peripheral; the culture insists upon it. In school and on television, in Shetland, we learned only of elsewhere, of places and lives unlike our own. And on those rare occasions when a camera ventured that far north, it was pointed at ponies and puffins, or else at men in Viking costumes: those glamorous caricatures of island identity. The world we lived in was flattened. It was stripped of both its richness and its ordinariness. We learned young to see ourselves from outside, through others’ eyes. We learned to feel apart from the places that really matter. For Liptrot, ‘the centre of things’ was far away: in Edinburgh, in London. To stay home, or even to return, she felt, was to fail. What was worthwhile was elsewhere. It is a feeling that will resonate with young people in any rural place. But The Outrun does not leave this sense of imbalance unquestioned. Even living in the south of England, it turns out, Liptrot finds that she cannot entirely escape. ‘Although I’d left’, she writes, ‘Orkney and the cliffs held me’. Because this is a book, ultimately, with two centres, two hearts. And when she does later return to the islands, trying desperately to stay sober, she discovers that her ‘centre of gravity has moved north’. Liptrot is careful though to avoid that threadbare cliche of the island idyll, in which one escapes the complications of urban life. Orkney, for her, is no simple place. And it is not, either, a cure for what ails her. Coming home is also what the narrator of Kevin MacNeil’s novel, The Stornoway Way (2005), has done. 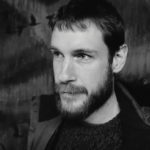 After years spent wandering and busking abroad, the pseudonymous narrator R. Stornoway has returned to Lewis, his ‘bleak weatherfucked rock in the Atlantic’, and to the town from which he takes his name. This is a novel that seeks not just to undermine but to shatter stereotypes. Absent are those ‘sleepy sheepy tranquil hills and when O when will ye come back again glens of the Hebrides.’ Instead, ‘R.S.’ repeatedly and drunkenly rails against this ‘gently venomous’ and ‘divinely mundane place’. In doing so, MacNeil writes in his introduction, ‘he describes a place that is much more recognisable to the average Stornowegian than the island paradise that tourist industry pamphlets glorify’. Virginia Woolf understood this. To the Lighthouse (1927) is set on the Isle of Skye, off the west coast of Scotland, where the Ramsay family have a holiday house. And though it is, for them, a temporary place, far from their home in London, that house and its gardens are at the heart of the novel. The island itself is never once portrayed or described as remote. It is, throughout, in focus. While the novel’s narrative voice drifts from the consciousness of one character to another, that geographical centrality is made clear. In the middle section of the book, ‘Time Passes’, the Ramsays are elsewhere – kept away by war and other tragedies – but the narrative stays put, inhabiting the house even in their absence. While the author was deeply sensitive to these distorting effects of distance, and clearly understood why the centrality of her setting mattered, Woolf found herself less able to bridge the gulf imposed by class. The novel exposes the complex inner lives of its middle class English characters but more or less ignores those of its working class Scottish ones, such as the ‘witless’ Mrs McNab, who ‘lurched’ and ‘leered’ through the house while the Ramsays were away. The housekeeper, cook, boatmen and gardener, when present, are largely incidental, described most often in terms of their appearance rather than their personality. They do things, they rarely think things. They are viewed, like the lighthouse, from afar. Woolf’s marginalisation of her working class characters is hardly unusual, particularly for its time. It exemplifies a kind of social myopia in literature, in which those who are felt to be distant (or different) become indistinct. Through repetition, this myopia works to reinforce certain hierarchies: Whose stories are worth telling? Whose lives are most significant? The intersecting lines along which such hierarchies have been drawn – class, gender, race, sexuality – are familiar. But to these, I think, we can add yet another: place. In her book Belonging (1990), the author and activist bell hooks highlighted ‘the intersections of geography, race, class, gender’. Of these, she writes, ‘geography more so than any other factor shaped my destiny’. As a black woman from rural Kentucky, attending university at Stanford at the end of the 1960s, hooks learned quickly to disguise her accent, ‘to avoid being subjugated by the geographical hierarchies around me which deemed my native place country, backwards, a place outside time.’ That subjugation, within literature, is played out in familiar ways. This relegation to particularity works across intersectional lines. The ‘universally relevant and resonant’ author has traditionally been male, white, straight and middle class. But he is also, and increasingly, urban. Cities and towns are where most people now live. They are the default location for contemporary stories. To situate one’s work elsewhere, to locate it specifically in that beyond, is to invite the charge of parochialism: a smallness of thought and ambition. To counter that attitude, I suspect many rural writers choose to set their work away from home. They do whatever it takes to avoid the stigma of the local. For to write rural fiction is to risk precisely the kind of dismissal that Cheryl Strayed described. And in a time when authors’ incomes are more precarious than ever before, that is not a risk young writers are always eager to take. The result, of course, is that certain stories and certain places are increasingly absent from our literature. This ought not to be the case. One doesn’t need to accept Kavanagh’s celebration of that particular word in order to recognise that geographical diversity enriches our literature. One doesn’t need to live outside a city in order to see how the label of ‘remoteness’ can distance and erase certain experiences from the cultural sphere. And one doesn’t need to fetishise the local in order to value specificity of place in writing. It was reading George Mackay Brown’s short memoir, For The Islands I Sing (1997), that first convinced me to write about my own place: Shetland. And it was reading his novels, his short stories and his poetry, that showed me how much could be achieved, how great the scale on which one could work, even when the raw materials seemed small. For the reader, too, this focus is not restrictive. Through his words, the place expands. It grows deeper, broader, more vivid, until any question of peripherality seems entirely absurd. Throughout his fiction and his poetry, the islands emerge with such richness, such lucidity, that they cast a new, northern light back into the world. He ‘transforms everything by passing it through the eye of the needle of Orkney’, said Seamus Heaney, in admiration. The valley in which this book is set would seem remote to most people. But that remoteness is not inherent, it is not ingrained in the place. For those who live there it is, unquestionably, the centre of the world. And for the time it takes to finish the novel – and perhaps a little longer – I hope it will feel central to readers, too. Because this, after all, is what fiction is supposed to do. For the few hours or days or weeks that we are held by a book, it should lead us towards other places and other lives. It should un-centre us, and reorient our imaginations. To read is an act of empathy, it is an act of care; and we are nourished by the untethering it brings. Reading helps us to see and to experience the world anew. It allows us to hear stories from those who otherwise would seem distant. And in doing so, I think, it can erase remoteness from the map.